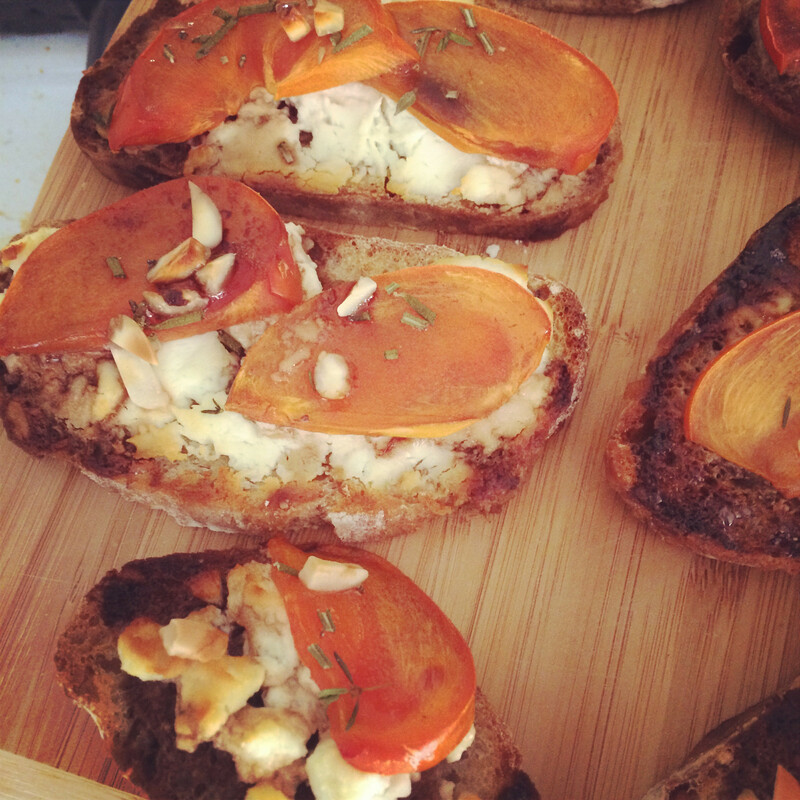 I adapted this recipe from the Persimmon Bruschetta on Food52. I decided to use a tangier cheese to juxtapose the sweet persimmons we got in our CSA box this week. My parents were on their way up to visit so I made this as an appetizer to have when they arrived. Not surprisingly, they had stopped at a winery and were toting a chilled white that went perfectly with the toasts. They were a hit, I’m probably going to have to make more tonight. 1 cup goat cheese/bleu cheese (i made half with goat cheese and half with bleu cheese.